Users can easily register in Unibet, the operator divides the registration form into 4 simple steps, which require only minimal information. As the user progresses in the registration process, Unibet is in charge of offering any kind of bonus or other lucrative offers that are available at the moment. It is advisable, and we are serious about this, that the bettors are very aware of the special bonuses during the registration process at Unibe, this is to take advantage of any kind of free money offer. The bonuses in the register form do not require codes, just select the bonus or offer wanted and get ready. Registration is available only to residents of Australia or New Zealand, as well as bonuses and offers. Welcome Bonus $ 80: All bookies offer a welcome bonus, but Unibet has multiple options for new users, although the main bonus is $ 80 for a first deposit of only $ 20. It is not one of the best welcome bonuses in Australia, but it is in the top 5 list available for bettors. Profit Boost for Markets: Unibet has had this promotion available for a long time, for some markets in particular bettors will receive a profit boost of up to 50% of the stake, regardless of how much money the bettor places in their bet slip, 50% is awarded at the time when the bet wins. Loyalty Bonuses: Any bookmaker who offers vip club, loyalty bonuses, or other advantages for the most loyal bookie with the bookie deserves to be mentioned with respect. Unibet has gained the respect of the users with more time in the bookmaker and also by the users who make big bets. Most loyalty points are delivered in free bets, and special offers. Unibet Streak: Punters in Australia definitely have multiple advantages with Unibet, the operator is offering $ 10,000 of prize for the best streak during the month of October, and this same offer will be available in the following months of the rest of the year and next year. In addition, users can set up groups to get extra bonuses with group streaks. Unibet Owners Payout: A very special offer, the only one in its class, this exclusive promotion is aimed at the owners of horses and greyhounds in Australia and New Zealand. Owners can register their horses or dogs in Unibet and get 15% bonus for every bet they make to their horse or greyhound registered in Unibet, up to a maximum of $ 3,000. 1. This offer is strictly for new bettors, residents of Australia and New Zealand, with some restrictions in Australian territories. The first deposit will be $ 20 to receive 400% bonus for a total of $ 80. It is a unique offer and not combinable with other promotions or codes. The rollover is X4 for the entire bonus. 2. Only for punters selected by Unibet, only available in sports bets and related markets. Horse racing markets and greyhounds are excluded. Once the bettor is selected to use the offer, he will receive a message in his Unibet account inbox with instructions on how to use the offer. 3. Loyalty bonuses are given to bettors in the form of free bets or bonuses for different markets. Users can check the amount of bonuses they have received in their account in the “My Bonus offers” section. Each bonus includes different terms and conditions that include market restriction, rollovers, among other requirements. 4. The Streak is only available to Australian users; New Zealand players are not accepted. Different bonuses will be distributed among the first 10 winners of the contest, but only one player with the most winnings will be selected for one month. Other terms and conditions apply as set forth by Unibet. 5. The owner of the horse or greyhound must send a legal proof of ownership to the Unibet team. Once the ownership is verified, the owner can apply for the promotion, but must have an active account in Unibet. Bets and registration of horses or greyhounds are made in advance of the races. Is Unibet the bookie with the best services in Australia? Unibet is one of the bookmakers with the most services for bettors. We are talking about a bookie with the 3 main pillars of the betting industry: sports betting, horse racing and greyhounds. Other bookmakers offer similar services, but they do not have the same combination of Unibet. No, existing bettors can still profit from the loyalty bonuses and offers. How is Unibet account and website security? The unibet service is strongly protected by various levels of security, and users can verify their accounts at any time to add more support and security to their money. The deposits and withdrawals are also protected, in case you need more information about a withdrawal or deposit, the users are contacted can contact the Unibet team. Does Unibet offer a quality app? The applications and tools that Unibet offers to the punters, are highly reliable to make bets and any type of transaction between Unibet and the user. The number of apps offered by Unibet exceeds the number of any other bookmaker in Australia or New Zealand. Users can download the apps directly from the website. 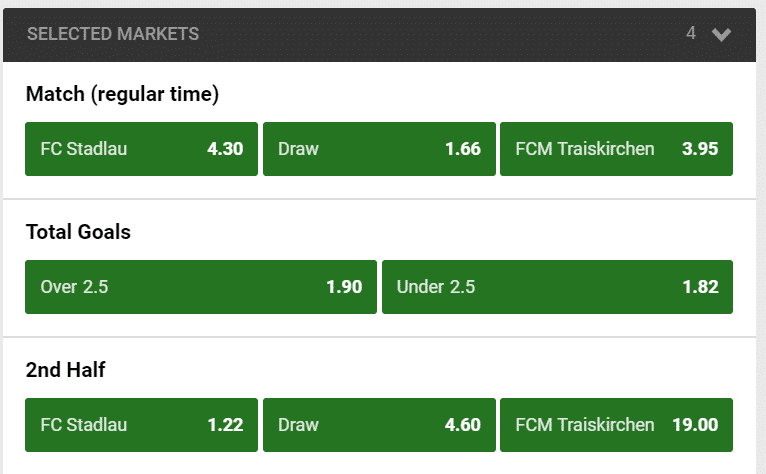 Is there any betting community in Unibet? In fact, Unibet is one of the few bookies in the world that allows users to talk to each other and allows them to set up groups to share bonuses, offers and promotions. Groups have privileges for horse races and special sporting events. Making a general comparison with bookmakers in Australia, Unibet has odds that are beneficial to punters with a bankroll over $ 5000, although odds could improve for major events, they are still advantageous for making sports bets, horse racing and greyhounds. In the racebook users enjoy a section with the latest in technology to see the latest updates on odds and available races. The main races are in australia and new zealand, but punters can also bet on international races such as france, england, united states, among other countries. Unibet has one of the fastest live betting systems on the market, and is also one of the easiest to use. The live betting system at Unibet is massive and covers the majority of markets available around the world. Bets are confirmed in less than 20 seconds, which gives punters an advantage to make short time lapses. The list of methods to make deposits in Unibet is short, but it is the right amount that players in Australia and New Zealand need to deposit money in their accounts. Among the first options are credit and debit cards, which must be in the name of the bettor as stated by terms and conditions. The other options to deposit are Paypal, Bank Transfer, Bpay and POLI. Unibet does not set any maximum or minimum amount in its terms and conditions, but we think it’s more than $10. Before processing withdrawals, the user must have his account verified by Unibet, as it is a necessary requirement to make any kind of withdrawal of profits in the bookmaker. The only method available to collect money in Unibet is through Bank Transfers, it is somewhat disappointing that only this method is available. Unibet has committed to add more withdrawal options in the near future. Unibet makes available to users 3 common methods to contact them, the first method, recommended by us, is live chat, the responses through live chat have an average of 2 minutes. The second fastest method to contact Unibet is the telephone calls through the number 13 78 68 (13 PUNT), which is available on local from 9am to 2am, with the same short time, users get complete help for any doubt or problem with the account. The last step to contact Unibet is the email [email protected], with a response time of 8 hours on average. Unibet has a main app which offers punters the best of sports betting with odds and multiple markets and also offers everything related to horse racing and greyhounds. The app has functions similar to the website; bettors can use the app to make any type of bet, in addition to using the live betting service. The same amount of sporting events, more than 30 thousand, is available every day with the Unibet app. The app is compatible with iOS and Android. Users who do not have a pc or laptop, can visit Unibet from their smartphones or tablets, the website automatically converts and adjusts to devices, offering bettors each and every one of the options, markets and offers that can be found at use the conventional website. The best thing is to use the Unibet app, but if it is not possible to download the app, users should not worry because the mobile site is not different from the main functions of the website. Unibet loves kiwis, it's totally true, and this operator is one of the best in the country. Unibet's services are pure quality, and at the same time lucrative for bettors. We are talking about an operator that offers everything for bettors, casino, bookmaker, poker, apps and other tools that have the same objective, to offer to the users the best site to invest money. Everybody knows Unibet's track record, not only in Australia but in other parts of the world, it is an operator that has inspired other bookies and casinos, as well as offering innovation in the sports betting industry with software and apps which make the difference in terms of service and functionality. Step by step, with great patience, Unibet has been gaining the respect of all the bettors in Australia, the services of this operator have adjusted to the requirements of each user. Unibet has a great power in Australia, although they still have to offer better thing for punters in Australia and New Zealand, we are not talking about eliminating the offers or bonuses they have at the moment, but offering the same variety in services that they have available in its subsidiaries in Europe and other parts of the world, such as the casino service. Honestly the effort that has made this operator to cover the market in Australia and New Zealand is surprising, even if they are not the best of all bookies, if one is worth using. The services available in Unibet have a lot of quality compared to other bookies in the country, there are almost no deficiencies, and especially the problem of using bookie services does not exist in Unibet. Another highlight is the attention to customers, Unibet is fast and caring for users, all doubts and questions have a fast response rate from the Unibet team. 1xBET: Currently this bookie offers a couple of bonuses slightly higher than Unibet, $ 100 for new users with a minimum deposit of $ 10. 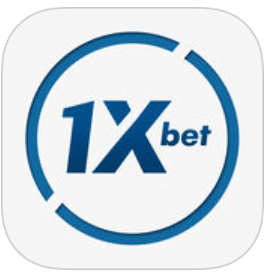 In addition to the welcome bonus, 1xBET offers more tools and apps than Unibet. The services are more extensive, casino, live betting, live dealers, esports, poker etc. 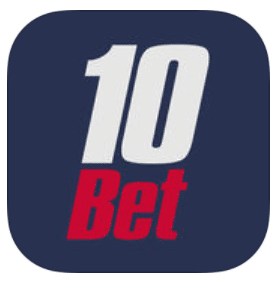 10Bet: The competition of this bookmaker is one of the big ones in the industry, the bonuses are different every week, the main welcome bonus is $ 200 for the first deposit. 10Bet offers cash out in almost all markets, while Unibet does not offer this option in Australia or New Zealand. Bet365: This giant among bookies has fewer bonuses than Unibet, but the benefits of using Bet365 are far higher than other bookmakers. The markets have more than 60 thousand sports events available a year, the live betting service is one of the best, and the other services like a casino and live dealers are guaranteed at all costs.